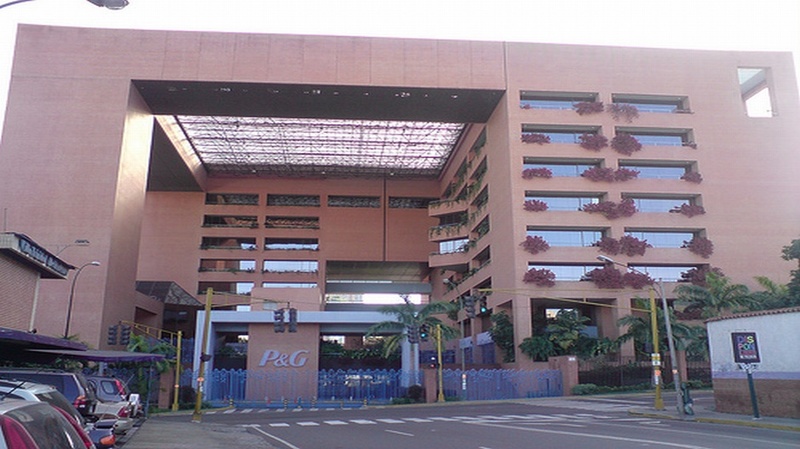 P&G’s erstwhile headquarters in Venezuela – is there a “For Sale” sign on that thing yet? Yesterday was not a good day for businesses operating inside Venezuela. First, the government decided to expropriate significant parts of Polar, Nestle, Coca-Cola, and Pepsi. The government claims the factories and distribution centers, located in Caracas’ working-class district of La Yaguara, were built on land they need for public housing. Never mind that the government is broke and no public housing will be built (just across the street, much-ballyhooed public housing projects have languished for years). Never mind that these companies are big-time employers for the area’s inhabitants. The government wants them out. Then we learn Procter & Gamble has decided to write off Venezuela – as in, they will no longer keep their Venezuela unit in their books, but as a separate entity. They announced a whopping, massive $2.1 billion charge due to Venezuela’s exchange rate nuttiness. So, basically, they have given up on us. It doesn’t take a genius to figure out what that’s going to do to the availability of shampoo, toothpaste, and laundry detergent in the country. But it didn’t stop there. Colgate-Palmolive and Goodyear have suggested they, too, will “deconsolidate” Venezuela from their books. Meanwhile, Mattel has announced that they are thinking of saying “buh-bye” to Venezuela altogether (hold on to your old Barbie dolls – there’s a black market for them brewing). Pharmaceutical giant Merck has also decided – you gessed it! – to write off Venezuela, to the tune of a $715 million loss. Venezuelan companies are taking a massive hit as well. Yesterday we learned that both Movistar and Digitel, the two largest private cellular providers in the country, claim they are not receiving currency and will have to restrict international calls. And Fresenius Medical Care, leading provider of dyalisis equipment, is bailing on Venezuela altogether. But don’t fret. It’s not all bad news. Uruguay has announced it will sell the government 235,000 tons of food stuff … And we all know what a positive impact that has.